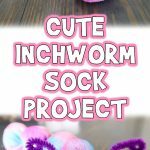 My kids love anything that is cute and tiny! 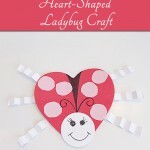 So with Valentine’s Day coming up, I thought it would be a great time to share this Mini Love Bugs Craft! They’re only about an inch long and easy to make. You can do different wing shapes for different holidays, like bat wings for Halloween or star wings for the 4th of July! 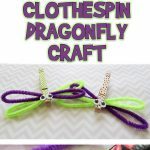 You can even prep a whole bunch of legs and wings, and let your kids come up with their own designs. 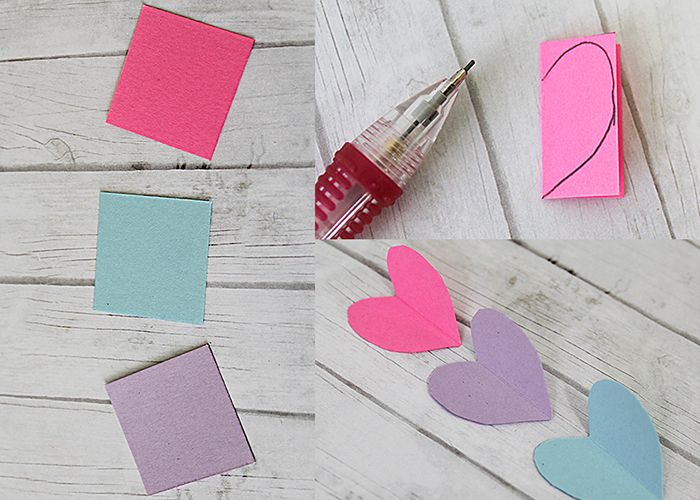 It’s a great idea for an easy party craft. 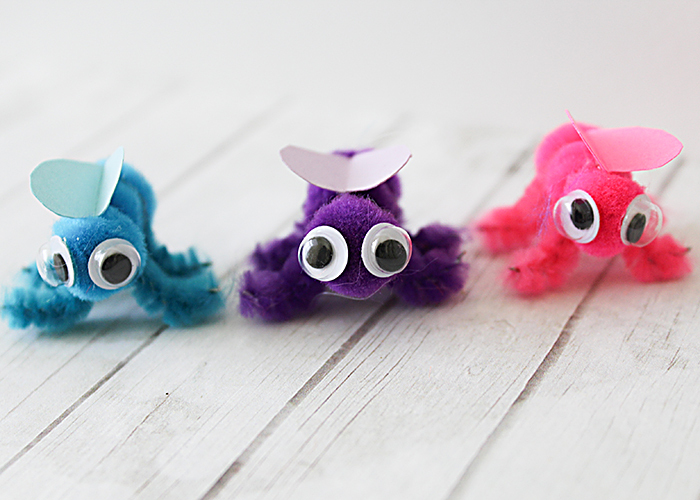 It’s like the game Cooties, but with much cuter bugs! We’re going to start by making the legs! You’ll need two leg pieces for each bug. 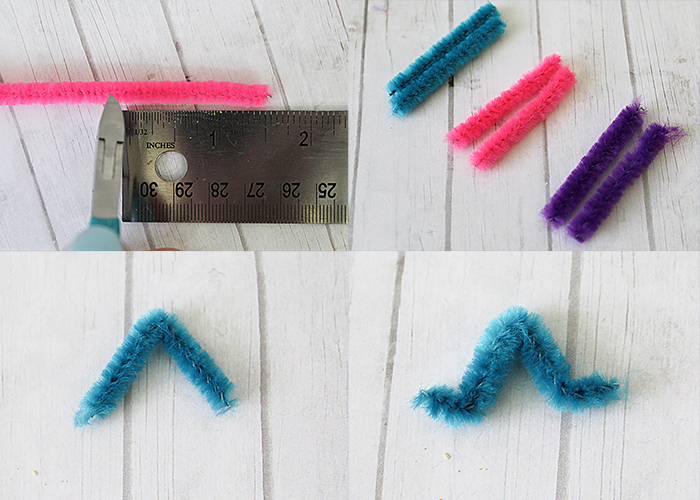 Cut two 1.5 inch pieces off of your pipe cleaner. Bend each piece in half to make an L shape. 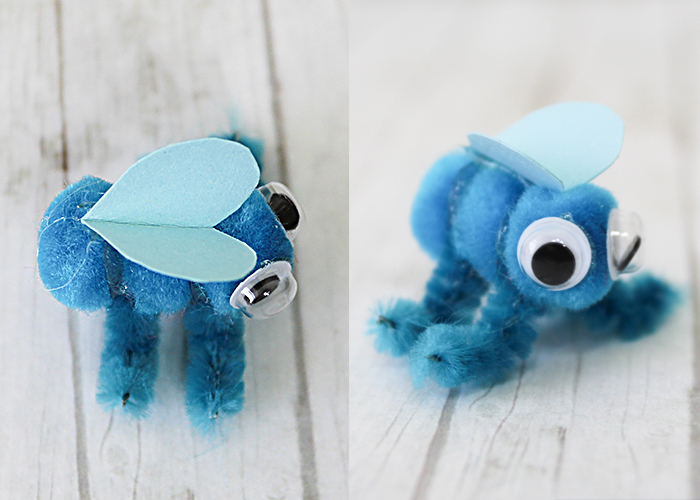 Then at each end, make a tiny bend up to make little bug feet! Do this for all the legs you’ll need. To make the wings, I cut out square pieces of coordinating paper about an inch square. 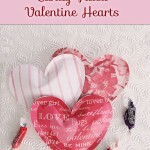 Then fold them in half and draw half a heart. Cut the heart out, and you have your wings! 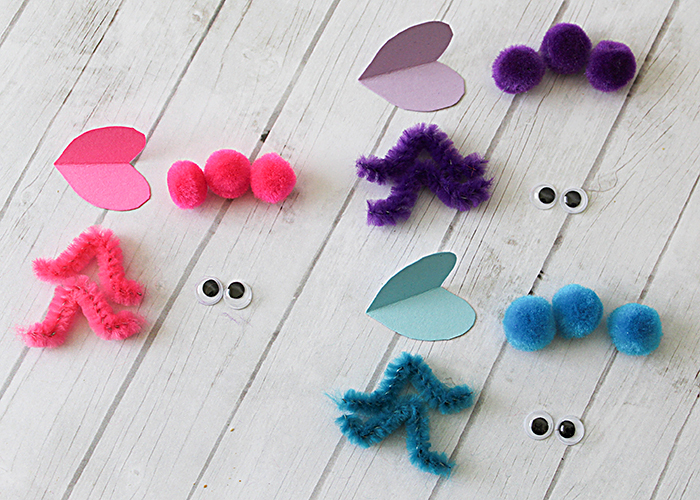 Depending on the size of you pom poms, you might need larger or smaller wings. Make them a little larger than you think they need to be, and you can always trim them smaller to fit just right. Here are all my pieces ready to make three little love bugs. 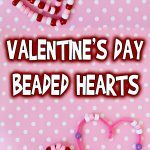 Don’t forget you can make them coordinate, or mix and match! Let’s start assembling these little guys! You can use hot glue or craft glue, but hot glue dries much faster. 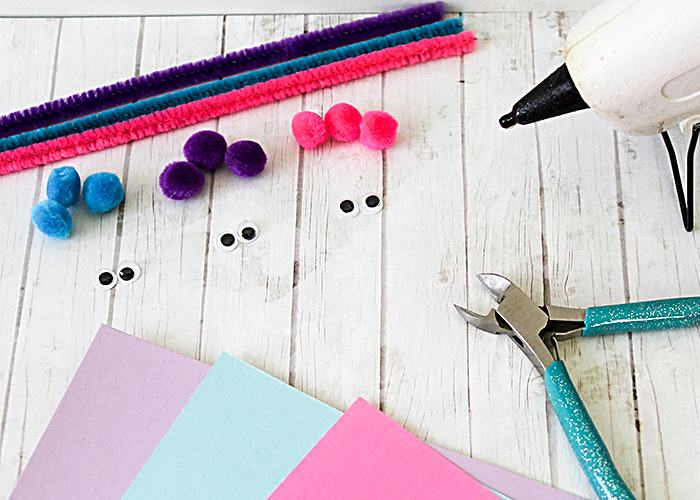 Take one pom pom and put a tiny dot of glue on it. Place the center bend of a leg piece on the glue. 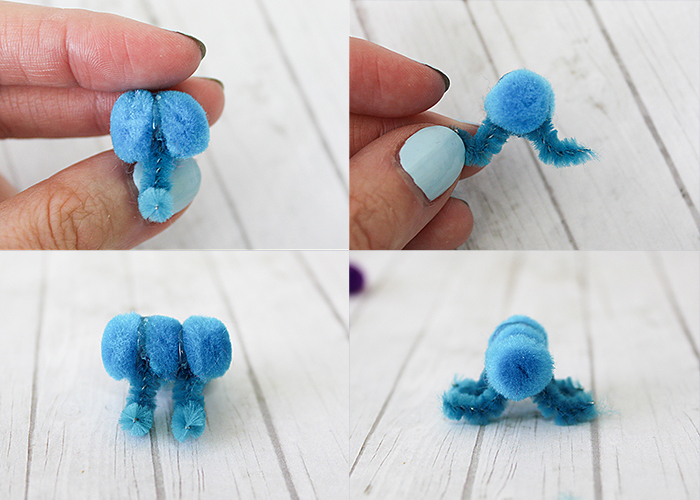 Put another drop of glue on top of the leg bend, and attach your second pom pom. You’re basically sandwiching a leg piece in between two pom poms. Add another drop of glue to one end of your bug, and attach another leg. Then put a drop of glue on that leg bend and attach your last pom pom. Keep in mind you can make these bugs as long as you’d like! Just keep adding body and leg pieces. Make sure to keep your glue drops as tiny as possible. Mine were a bit too big and showed a lot, so I tried to fix that in future bugs. 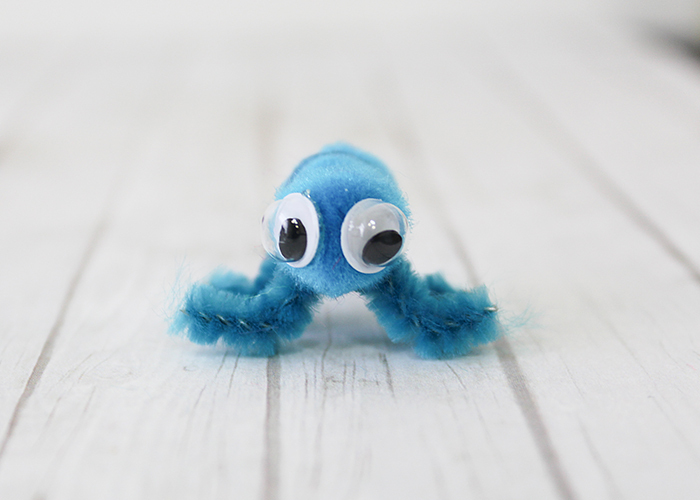 Take your eyes, put a drop of glue on the back of the eye (not the pom pom) and attach the eyes. Now take your wings, and put a line of glue on the spine of the wings. Press the spine of the wings on top of your bug. While the glue is still soft, open up the wings so they look like this. And you’re all done! 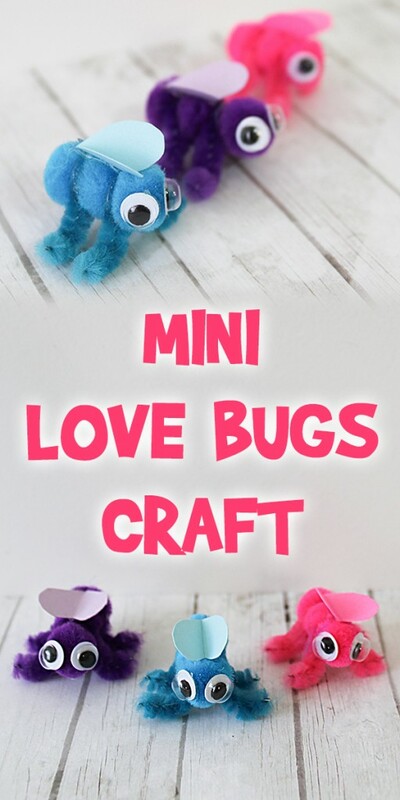 I hope you enjoy this Mini Love Bugs Craft! Now go make a whole bunch of them! They each end up with their own personality. 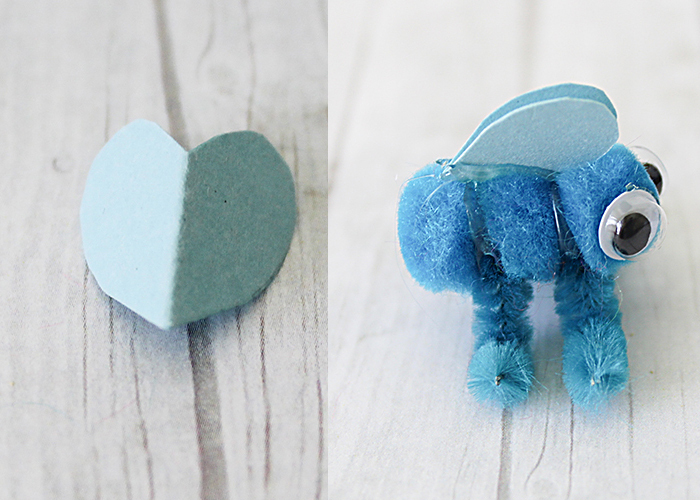 My daughter named the blue one Arnie, because she said he looked like an Arnie!